Typically people think that infertility is a woman's problem. 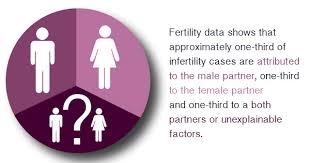 However, in actuality 1/3 of infertility problems are due to female factors, 1/3 are due to male factors and 1/3 are unexplained factors OR could be a combination of both. When it comes to the infertility battle, it can feel like women are the true losers. Women are the ones who have "the biological clock"; women have the hormonal drive and the instinctual, undeniable urge to get pregnant, feel a baby kicking in their womb and have a child of their own to love. All that is true, of course, but in this archetypal story, the male half of an infertile couple is left out of the picture – and this is especially true on Father’s Day. Although men and women may experience infertility differently, it doesn't mean that men don't feel isolation, pain and hurt. Just as men experience infertility differently, they handle the emotional aspects of infertility differently too. It's important to recognize and embrace those differences on Father's Day and every day throughout your life's journey. While men might not have the same biologically-driven yearning for children, many certainly have a heart-and soulful desire to become fathers. Just as Mother’s Day is a painful reminder for infertile women, Father’s Day is particularly poignant for men battling an infertility diagnosis. Even if they have their own fathers or fathers-in-law to celebrate, the lack of a child of their own can make Father’s Day a challenging one to feel good about. Your male partner needs just as much emotional support and compassion on Father’s Day as you do when Mother’s Day rolls around, or when you receive the inevitable and unavoidable baby shower invitations. Men dream of having children too, and infertility can be just as difficult for them. Everyone needs a little down time to decompress from the stressors of the week. Ask him if he’d like to spend some time alone on Father’s Day. While there are exceptions, most men prefer to retreat – rather than commiserate – when the emotional realm is difficult. If this rings true for your man, check in before making big Father’s Day plans with the family or a group of friends. Does he want some time alone in your home? On a hike? To take a long run or bike ride? To play golf? To go out with his single or childless friends that don’t have plans that day? If so, make sure the day’s plans accommodate his wishes – even if it means arriving late or departing early from traditional Father’s Day plans with your own family. Ask him if he needs a little down time this Father's Day. We've all heard the song, "You always hurt the one you love." It’s inevitable that we take our negative emotions out on the ones we love most and are closest to. Odds are your partner has held you or listened as you’ve sobbed or raged in your own fertility frustrations. Now, it might be your turn to buck up and be strong for him. Be prepared to breathe deep, remain open and not take it personally if your husband is more irritable, grouchy, sharp or downright angry on the days leading up to – or on – Father’s Day. Just remind yourself, “this is the grief talking. This is his pain talking” and let it bounce off you without reacting. Your loving presence – without judgment or reaction – will be greatly appreciated and valued. Infertility is difficult for men even though they may handle it differently. It’s not easy to stay romantic, connected and aligned when you’re pursuing fertility treatments. All of a sudden, the life you knew before turns completely upside down. Now, every conversation, intention, calendar date seems somehow connected to infertility – or fertility treatments. Infertility takes a serious toll on relationships and things can get unromantic and disconnected quickly. Think about why you are with him in the first place. 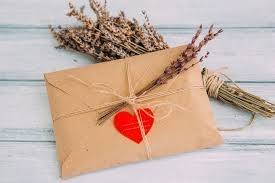 You may want to write a list of things that attracted to him to you and give that list to him in a card on Father's Day. Take time to prioritize your relationship. You are in this together. On a personal note, my husband and I struggled with infertility for a decade of our lives. At times during our infertility journey, his military career in the US Navy and the months we were separated while he was deployed, complicated our fertility treatments tremendously. We were constantly moving during the first fourteen years of our marriage and we had to seek a new RE (Reproductive Endocrinologist) each time we moved. I could have become resentful, and at times, I know our military lifestyle took its toll. However, instead I know it was healthy for our relationship that we embraced our differences and celebrated what bonded us instead of what separated us... and we still do today. When going through infertility, or any difficult life situation, it is important to let your partner know what you admire about him. And who wouldn't like to have a list of reminders of why they are so special to you? Maybe it's time to scrap the idea of celebrating Father's Day and just make a Date Night for yourselves to share what you love about each other. After all, no matter how you resolve your infertility, whether you're one of the fortunate ones who ends up with a child of your own, or you learn acceptance and are childless not by choice, you (hopefully) will still have the same life partner. So, this Father's Day, why not grab a pen and paper and make a list of the things you love the most about your partner. Then tuck it inside a special card to give to him this Sunday. It just may be the most treasured gift he will ever receive. This Father's Day, why not write a letter listing all the reasons you love your partner? In closing, I thought I'd share a list of what I love the most about my husband. What a wonderful exercise this is. I hope you will find it helpful and supportive and it will bring you closer to your partner today and throughout the rest of your life together. I love how you have so many friends who, even though they don't see you on a daily/yearly basis, welcome you into their home as if no time has passed when we get together again. I love your optimistic attitude and when you say, "Can do easy." I love your sense of adventure and your desire to experience new things with me. I love that you can talk to anyone about nearly any subject. When we were going through our journey, you could open up about our infertility to your co-workers. Your transparency has helped others understand and support you. You are so easy to relate to. I love your strength, your courage and your perseverance. I love your willingness to accompany me on Infertility Advocacy Day and share the man's perspective. I love that you are a selfless man of honor and integrity. You chose a service career where your call to duty is greater than yourself. Even though the separations were difficult, I am proud to be your wife. I love that you are by my side through thick and thin and we are committed to our relationship no matter what. Wishing you all the best on Father's Day and every day!